The AFL is pleased to announce the 2019 AFL National Inclusion Carnival will be held in Sydney in July. Held annually, the AFL National Inclusion Carnival brings together male footballers with an intellectual disability from across the country to take part in a week-long round-robin competition. Footballers hailing from all corners of Australia will have the opportunity to wear the representative jumper, with teams from Northern Territory, NSW/ACT, Queensland, South Australia, Tasmania, Victoria Country, Victoria Metro, and Western Australia set to take to the field. People with a physical or intellectual disability taking part in various football programs across Australia has seen participation grow to 4,589 in 2018 and is a growing part of the game. AFL General Manager Game Development, Andrew Dillon, said the AFL National Inclusion Carnival would once again be a highlight on the football calendar. “The AFL supports and promotes inclusion of our game at all levels and we’re excited to see more people participate in Australian Football through our Inclusion programs across the country,” Mr. Dillon said. “The AFL National Inclusion Carnival promises to provide another fantastic week of competition, with all states and territories vying to secure the national title. AFL NSW/ACT Chief Executive Officer Sam Graham said New South Wales is excited to host the Carnival for the first time. “We’re delighted to have the opportunity to host the 2019 AFL National Inclusion Carnival at Blacktown International Sportspark, in the heart of Western Sydney. I’d like to thank the New South Wales Government, in particular Minister for Disability Services and Multiculturalism Ray Williams along with Blacktown City Council for their partnership and support,” Mr. Graham said. 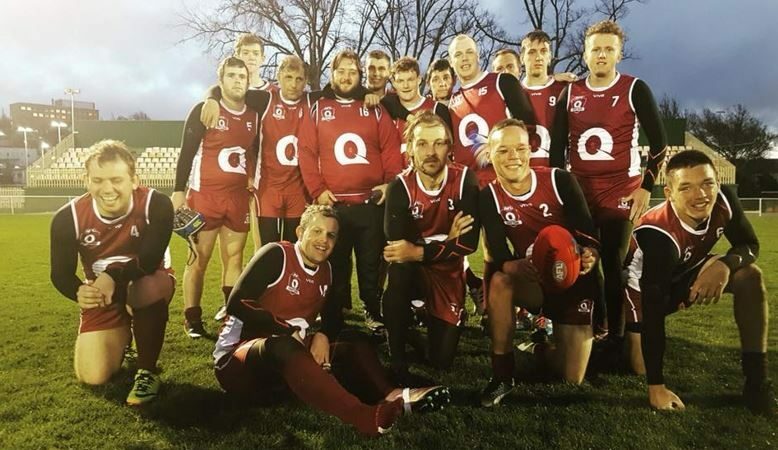 For many years players with intellectual disabilities from Victoria and South Australia competed in an annual state of origin match. In 2013, players from NSW/ACT joined the carnival and Victoria was split into two teams (Metro and Country) to form a four-team competition. Victoria Country was victorious in the 2014 carnival which also saw the introduction of teams from Queensland and Tasmania. Western Australia participated in the carnival for the first time in 2015 where Victoria Metro claimed the honours. Victoria Metro also took out titles in 2016 and 2017. The 2018 AFL National Inclusion Carnival was held in Tasmania with two divisions competing for titles which saw Victoria Metro win the division one title and Western Australia secure division two. Each participant in the Carnival must be male, over 16 years of age and have an intellectual disability. The AFL National Inclusion Carnival will kick off on Monday July 15 and run until Saturday July 20.